"Great Schools in a Great Community"
St. Joseph Public Schools welcomes you to our district. We encourage you to examine and compare what our schools have to offer you and your child. We are what you have been looking for in a school system. All of our schools consistently receive a letter grade A on their AYP report cards. The St. Joseph Public Schools boast modern, safe, clean schools with the highest academic standards and student achievement. Our highly qualified staff encourages all students to succeed and excel. Our high school graduates are accepted into the top U.S. colleges and universities across the nation and succeed because of their preparation and exposure to a wide variety of advanced placement college-level courses. Our math department is among the top rated in the state with many middle school students completing honors geometry by the end of eighth grade and high school students able to complete three college level AP math classes including college statistics and two years of calculus. Our science program features an in-district planetarium visited by all students K-6 each year. Writing is also stressed at all grade levels. Our high school annually receives honors for its newspaper and college writing classes. Fine arts opportunities abound with our superior and award-winning orchestras, bands, and choir programs. Visual arts and practical arts opportunities allow students a wide variety of exposure to lifelong learning experiences. 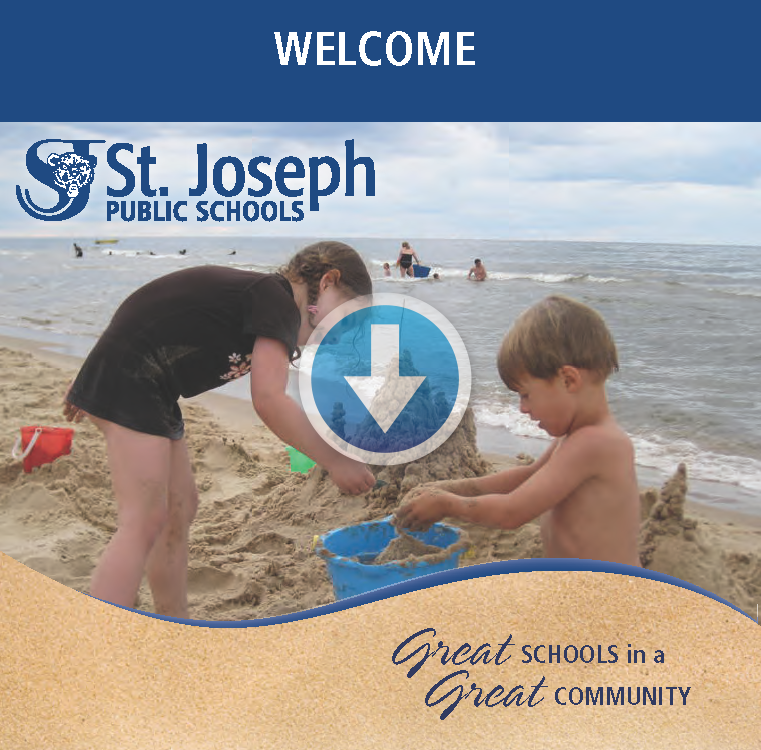 Students in the St. Joseph Public Schools also enjoy the ambiance of a wonderful community located on the shores of beautiful Lake Michigan with friendly and safe neighborhoods and a wide variety of shopping opportunities. We invite you to join us and let us demonstrate why we are the school of choice for new residents to the area!